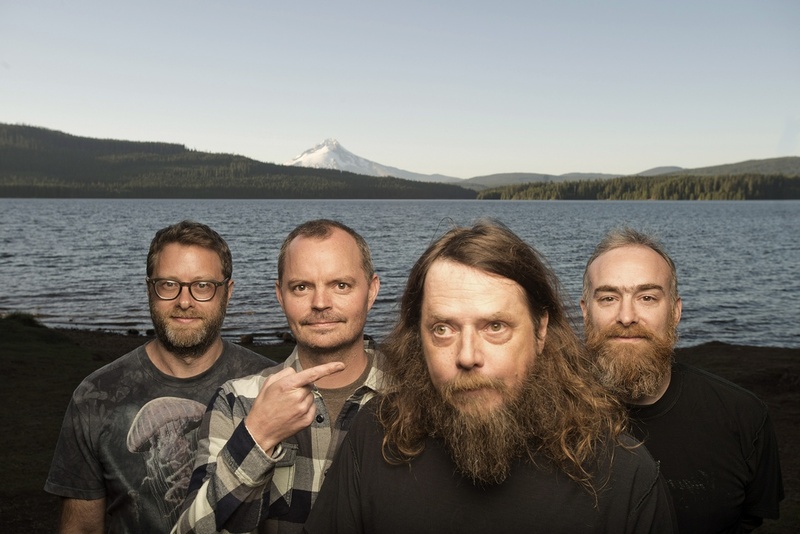 The profile of Portland, Oregon’s Red Fang has been steadily increasing over the past few years. Their latest album is Only Ghosts, was produced by Ross Robinson (Korn, Slipknot). Vocalist/guitarist Bryan Giles gets us up to speed on their fourth studio album, working with Robinson, touring and other subjects. Chad Bowar: Was there anything unique or different about the songwriting process for Only Ghosts? Bryan Giles: It was a lot of fun writing this new one! We put no time restraints on ourselves and let the songs evolve naturally. How did you decide to work with producer Ross Robinson? He was one of a handful of people that were suggested to us. I wasn’t sure he was right for us until we had a chance to sit with him in person. He’s an incredibly driven person and holds music in very high regard. He made me feel more excited about recording immediately. What’s his producing style, and how was the experience? He has a very hands on style of producing. He is 100 percent devoted to the songs and refuses to accept a lackluster performance from bands he works with. He expects even more from himself, so I felt the least I could do is keep up! How do you and David divide guitar parts? Neither of us is itching for the limelight with solos, so we’re pretty clear on who should play where. He has a subtler hand than I do, so if something needs romancing he goes, and if the part requires a hammer I’m more the guy. In general his tracks on Only Ghosts are the left channel and I’m on the right if anyone cares to nerd out. How was the video shoot for “Shadows”? Really great! Whitey has awesome ideas so it’s always fun. Not to say it’s always easy. We got to run around the jungle blowing things up! I loved it! Your video clips are always entertaining. How do you come up with the concepts? Glad you think so! The director Whitey comes up with all the concepts. We just do what he says and he makes us look semi-competent. You’re kicking off the tour cycle for Only Ghosts in Europe. What’s the band’s level of popularity/awareness/venue size there compared to North America? It varies from city to city. I’d say we have really good places for us to play here and over there. In general though, I feel like folks in the EU are a bit more dedicated to the bands they follow than in the States. Club sizes can be anywhere from 100 to 1000 capacity for us. Every day is a new experience! When you visit places like Europe, do you try to see some of the local sights if you have the time? Absolutely! Time doesn’t permit as often as I’d like though. I’ve been to the Eiffel Tower, a church made of only human bones, and saw stone monsters in the Parco dei Monstrei in Italy. I feel really lucky for these experiences, but I’m sure I’ve only scratched the surface. When you’re on the road what do you miss most about Portland (besides family/friends)? I think I miss creature comforts the most. My bed, my local bars and restaurants, and the TV and couch wearing sweatpants! Did you all get free pinball machines since your music was on the Pabst Can Crusher machine? It was so cool being asked to have our music on the PBR machine! I’m an avid pinball player so if a machine ended up in my basement I would not be sad about it. Are you ever mistaken for former MLB player Brian Giles? I was living in San Diego the season he really did well with a .500 batting average for the Padres(2005?). I turned my head several times walking down the street when Padre fans would yell out his name. I thought “I’m famous!” That was not the case at all. My wife and my dog mostly! But really, I’m super excited to be hitting the road with Torche and Whores over the next couple of months. I dig those guys a lot! I’m also very happy C Average from Olympia has been writing new songs. They’re rad.